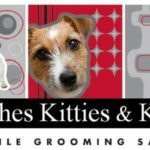 Pooches Kitties & Kisses Mobile Grooming Salon is a grooming service that comes right to your home! 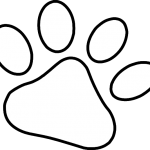 We provide services for both large and small breeds of dogs, as well as cats. All services are performed inside our state-of-the-art mobile grooming salons which operate on their own source of power. 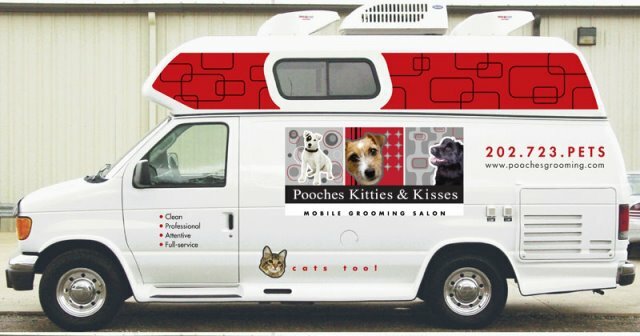 Our mobile grooming salons are equipped with hot and cold running water for a comfortable bathing experience, heat and air conditioning for a comfortable grooming experience, a full size tub, an adjustable grooming table, and a qualified, capable pet groomer. We provide personal, uninterrupted attention for you and your pet in a quiet, stress-free setting. Our mobile salons offer a safe, sanitary and healthy environment where pets are never put in crates or cages. We can groom your pet(s) while you are away from home or sitting with us in the mobile grooming salon. We are perfect for cats, pampered pets, senior dogs, pets who experience car sickness, or suffer separation anxiety. 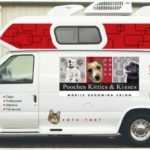 Pooches Kitties & Kisses is locally owned and operated. It is our pleasure to serve you.